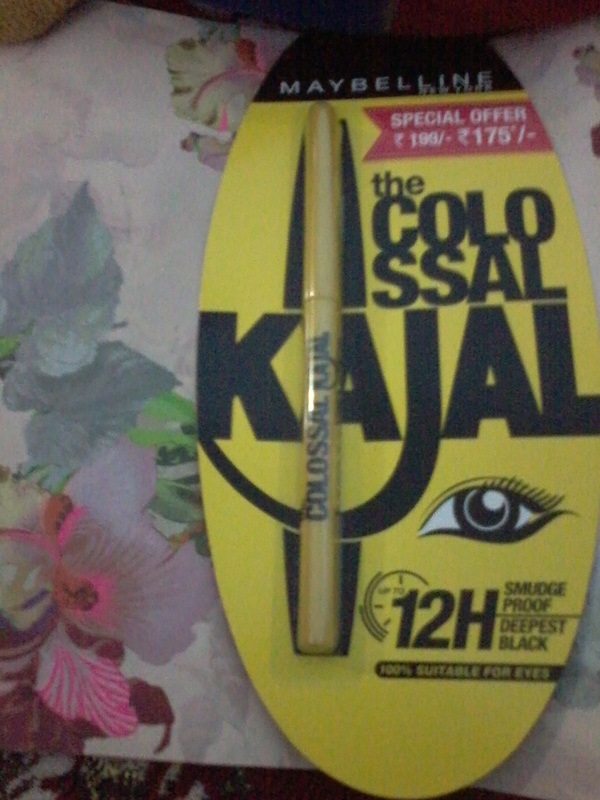 I had tried Kajal’s from various brands like Lakme , Biotique . This is the first time I am using Maybelline Colossal Kajal . I have heard and read a lot about it . So wanted to give it a try . Its a good product from famous brand Maybelline . The product contains Olive oil , Vitamin E , Vitamin C.
The product claims to provide a Smudge proof formula for up to 12 hours. It claims to be opthalmologically tested and can be used by contact lens wearers. Expiry –24 months from the date of packaging. Its in form of a sleek pencil , which can be easily carried any where . 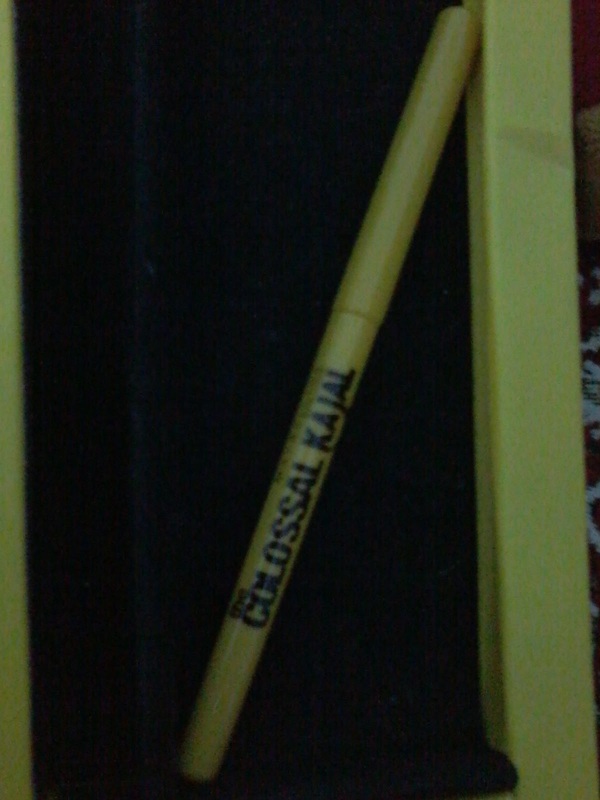 Very easy to apply kajal using this pencil. The packaging is cute . 1.Smooth and creamy texture . 1. Does not stays for 12 hours . 2.It is not completely smudge free . Overall its a good product which helps to make eyes look more Expressive and Beautiful . Very nice and interesting post here.